The community in Huntley, Illinois call dentist Michael Farr, D.M.D., when they are looking for dental service with a smile! From teeth cleanings to cosmetic procedures like whitening and tooth implants, Dr. Farr is the Dentist in Huntley IL you can trust. What makes Huntley Dental like Dr. Farr so great? Knowledge. Dr. Farr believes in providing high-quality dentistry to Huntley residents through constant education. The dentists work tirelessly to learn the latest and greatest techniques and technologies dentists are using to provide better dental cleanings and cosmetic dental procedures. Dr. Michael Farr is passionate about maintaining good oral health in the community and his happy patients are a testament to his success. The motto states a “Friendly Village with Country Charm”. Residents of Huntley have been graced with some of the best community outreach programs, schools, and libraries in Illinois. Smiles By Farr is ready to add quality dental care to that list. Smiles By Farr’s dentist, Dr. Michael Farr, provide the best dental cleanings, cosmetic dentistry, and overall dental health procedures in Huntley. If you’re looking for a friendly and trustworthy dentist in Huntley, Illinois trust the dentists at Smiles By Farr! Dentist Michael Farr has offered high-quality dental cleanings and cosmetic dentistry in Huntley, Illinois for many years. 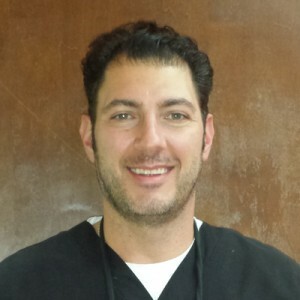 He is dedicated to providing the best dental health procedures in Huntley. Here is a list of the most popular dental procedures performed by Dr. Farr. After a fellowship with the dentists at the International Congress of Oral Implantologists and the completion of his degree at Temple University’s school of dentistry, Dr. Farr was recognized numerous times for his work as a dentist and champion of oral health. In 2015, Smiles By Farr’s Huntley office was named the “Best Dentist in Huntley”. The friendly staff of Smiles By Farr is available at all times to help new patients receive high-quality dental cleaning. Schedule your appointment with a dentist today by calling the Huntley office at (847) 669-2787. For after hours or emergency care call: 847-849-6371. We look forward to meeting you!